Join us tonight for the live RAW chat, as HBK makes his return. 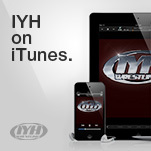 Join other IYH fans in the live chat room during RAW every Monday night. Former real life wife and valet of The Boogie Woogie Man Handsome Jimmy Valiant is coming to IYH. This week on IYH we were joined by wrestling legend Tony Atlas and the leader of The Embassy in ROH Prince Nana. 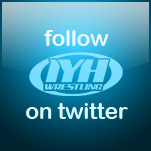 This week on IYH we were joined by Tough Enough finalist Luke Robinson and legendary wrestling journalist Bill Apter. AAA in English Returns !!! This week on IYH we were joined by multiple time tag champion, former world champion and the man who made DAMN famous Ron Simmons. This Wednesday on IYH we were joined by Tough Enough star A.J. Kirsch and Dragongate booker Gabe Sapolsky. John Walker, a.k.a Mr. Wrestling II, joined us this week on IYH. Walker was one of the biggest stars in Florida and Georgia during the 1970's and 80's. - OIB's shocking announcement and much more !! !